Marlie was very sweet and informative. She was very professional and provided a beautiful product. When deciding on a stationary vendor, choosing Marlie was a no-brainer! Throughout the entire process, I felt as if Marlie was a friend giving me her honest opinion, yet also a professional who knew her material and products. Upon first meeting her, my fiancé and I instantly knew that she would be making our invitations and stationary. Her organization and ability to understand my style put me at ease from the start. While working with her, she was very attentive to our budget and was honest when giving us pricing options. Throughout the proofing process, Marlie made sure that our final product was exactly what we wanted. 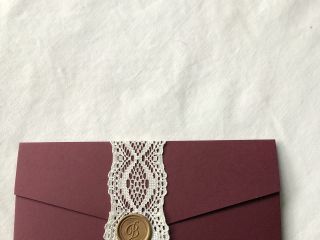 After our invitations had been sent out, we had received countless positive comments about how stunning, unique and beautiful our invitations were - and my fiancé and I could not agree more. If you are looking for an organized, fun and caring professional for your stationary... look no further! Marlie Renee Designs is your one-stop-shop! Marlie was such a pleasure to work with and I could not be happier with how our wedding invitations came out! She listens to you, your vision and your budget and when you need some inspiration she offers creative ideas and her products are truly beautiful. Talking to her is like chatting with a friend. I would recommend her to any bride and look forward to working with her on our other wedding “paper” needs! Marlie was amazing throughout the entire process! She helped us cultivate our vision, calmed us through every bump in the road, and was such an amazing communicator through the entire planning process. Beyond that, her work was simply amazing. The attention to detail and her exceptional designs, left us on the receiving end of countless compliments on her work. Can not recommend her highly enough! I contacted Marlie in August to design our wedding invitations. 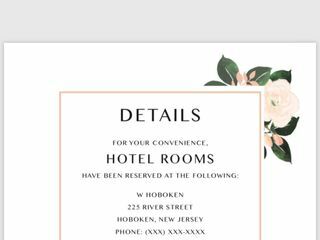 Since our first conversation I felt that she understood my vision, and Marlie came up with a wedding invitation suite that was more beautiful than I ever could’ve imagined. She was always very patient, answering all my emails in timely manner. Her pricing is more than fair. Especially when you take into consideration that you’re getting a bespoke, one of a kind product. 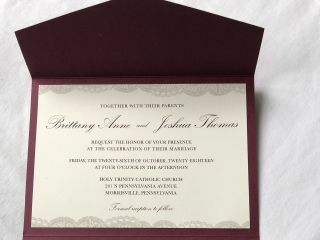 All our friends and family have been raving about our invites ever since they received them. Thank you Marlie for the amazing job, and we will definitely be in touch again for future projects! Marlie is amazing and helped our invitation vision come to life! We couldn't be happier with how our invitations came out and we have received so many compliments from our guests. Marlie is so easy to work and is willing to go above and beyond for her clients. We can't wait to use her again for our day of stationery! I am the mother of the bride and the way I found Marlie was through a wedding invitation from my niece. Her wedding invitation was the prettiest wedding invitation I had ever received. I knew one day I would be using Marlie for my own daughter. So when my daughter got engaged I sent her straight to Marlie. From the Save the Dates to the final Wedding Invitation the experience has been seamless. Marlie has a natural talent and gives you so many options to choose from. 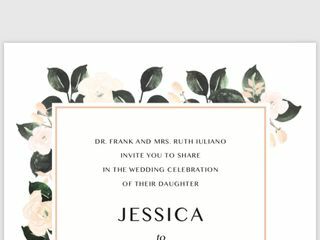 My daughter is in love with her Wedding Invitation and it is exactly what she dreamed it would be. Marlie gives you many options to choose from, different price points, and is always available to discuss other options. She is so accommodating., so calming and a great resource. Marlie is the “Wow” factor. Working with Marlie on my wedding invitations was the best decision I ever made. She is friendly and easy to work with. Marlie answered all of my questions and got back to me in a timely manner. I told her I want my invitations to be simple, elegant, and romantic. What Marlie created turned out better than what I had envisioned. My friends and family were speechless when they received their invitations! I couldn’t stop staring at how gorgeous they turned out. I can’t wait to work with Marlie again on my day of wedding projects. Thank you Marlie for everything! I suggest you look no further and choose Marlie to make your invitations. You will not regret it! Thank you Marlie Renee Designs for such a wonder job on our Save The Date cards and Wedding invitations that you have designed for us! We absolutely love them, as did all who received them. You are both very talented and professional: all of our needs were met, and in a timely manner. Thank you for all your hard work and dedication in taking on this important role to make our Special Day complete. We highly recommend you. Marlie designed my wedding invitations for my June wedding. She was professional and put us at ease from the moment we met her at our first meeting. Her work is FANTASTIC!! Marlie made a custom design just for us that incorporated our wedding colors and travel theme. We've gotten awesome feedback from our guests how much they loved our invites. 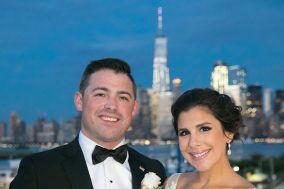 We love Marlie so much that she'll be doing our ceremony programs and menus as well. I wish all my wedding vendors were as great to work with. We are in love with the wedding invitations that Marlie designed for us. She did an amazing job! Marlie is a true professional. 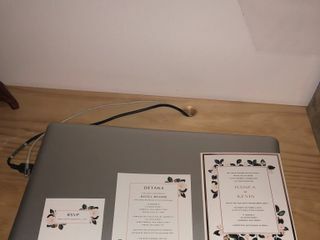 I am so grateful for her passion, vision and guidance throughout the process of creating an invitation, thank you notes and signage for my best friends shower. Her design truly set the tone for our event. She was timely in her response and took feedback well. From beginning to end I felt that she was listening to my needs and did all she could to make my vision come to life. I would wholeheartedly recommend Marlie! To say that I had no idea what I wanted in terms of stationary was an understatement! Marlie helped pull all my visions together into something that not only looked beautiful, but was exactly what we were looking for. 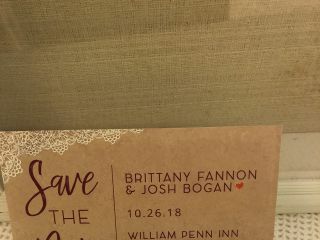 My favorite suggestion of hers was using a black envelope for our save the date. It not only stood out and "wowed" everyone when it hit their mailbox, but set the tone for the rest of our stationary and wedding theme as a whole. Our invitations were simple, yet elegant and all of the other details along the way tied together beautifully. Marlie even helped us design custom, personalized labels for our wedding favors that were created by my grandma. I would highly recommend her for all things wedding stationary related! We used Marlie for all of our wedding stationary including our invites, menus, programs, place cards and additional day of signage and decor. Marlie is so talented in design and made the process easy and simple from the very beginning. We didn't have much a vision to begin with but we knew w wanted elegance and class and that's what Marlie delivered. The result of our invite suite was nothing short of amazing and even included a custom logo that Marlie designed which was printed in rose gold foil. Nothing is impossible with Marlie , she will find a way to make anything work and will give you a number of pricing options for various alternatives to help narrow down. She also pays attention to every detail and ensures what is delivered to the customer is 100% error free. Seriously the best working with Marlie and I will definitely be using her for any future needs, you cannot go wrong!!! I recently hosted my son's wedding rehearsal dinner. My invitations were beautiful and so professionally done. Marlie Renee could not have been more attentive and flexible. I wanted everything perfect and day or night, Marlie Renee always had time for me. I know who to use for any affair in the future. Thank you so much, Marlie Renee! When we began the search for invitations we were looking for someone who would listen to our ideas and work within our budget. We are so THANKFUL we found Marlie. From the second we met her, we knew we had found the person we wanted to work with. 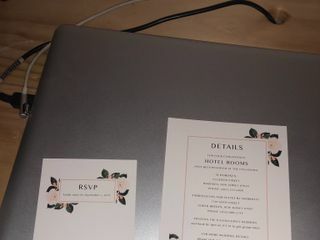 Marlie was quick to respond to emails and helped us create a look for our invites that were within our budget. She had a wide variety of samples to help us customize our very own invites. The colors and the quality of the paper was amazing. The invitations were absolutely beautiful and we had so many compliments. Once we saw the beautiful invitations, we asked Marlie to create breakfast invitations as well as our programs for the wedding. We look forward to using Marlie in the future for our other invitation needs. I had no idea what I wanted for my save the dates and menu cards and was sending Marlie a million different ideas that were all completely different. Somehow Marlie combined them all and created the most perfect possible things!! She was so easy and fun to work with and is so creative and talented. I plan to use her for all of my invitations etc forever!! Great service and lovely to work with. Some invitations came apart that we had to Re-glue but nothing extreme. It was overall a great experience. Marlie is wonderful and is a one stop shop for whatever you need for your special day.